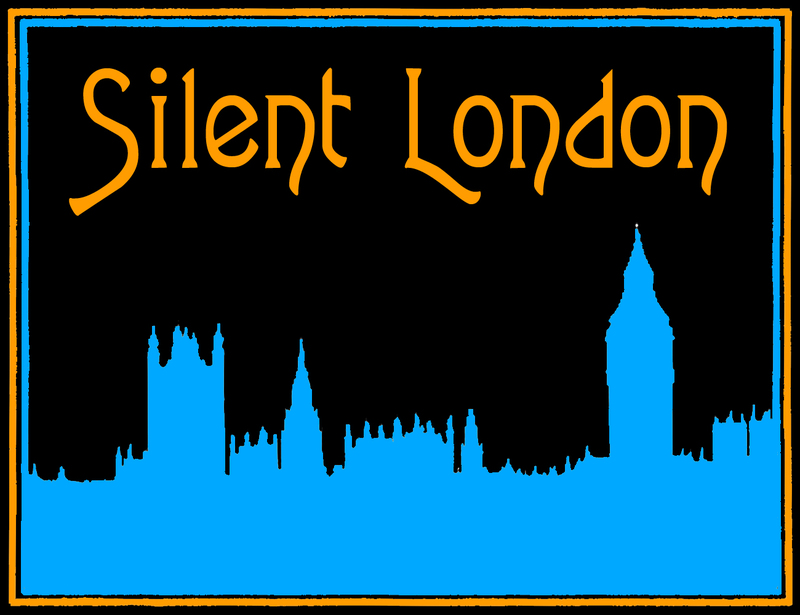 When you become a silent movie blogger no one tells you that you will need a hard hat. Nor that you will occasionally be handed a free glass of fizz. But those of those things happened on Wednesday afternoon when I travelled “up west” to the University of Westminster to see the venue where the first public motion picture screening in the UK took place. On 21 February, 1896, the Lumière Brothers demonstrated their cinematograph to a paying public (admission: one shilling) in the theatre of the Polytechnic Institution on Regent Street in London. The theatre had been used for lots of things before the Lumières arrived, including very popular magic lantern shows. 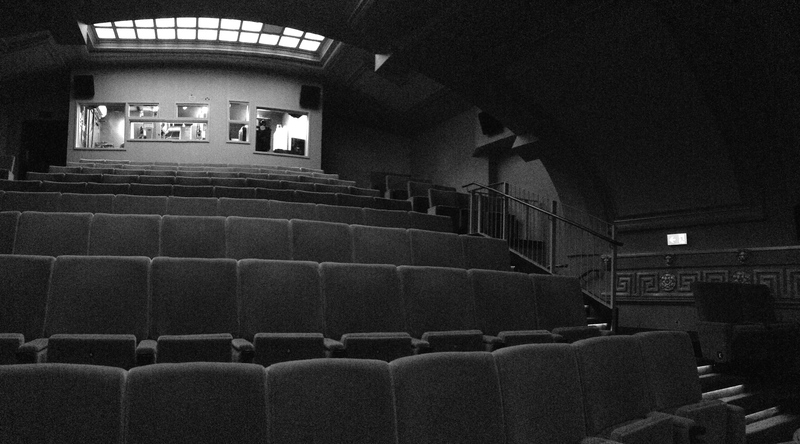 Subsequently, it was made into a bona fide cinema, in use until 1980. And the Polytechnic changed too, eventually becoming the University of Westminster, but notably in 1970, as the Polytechnic of Central London, it was one of the first institutions to offer an undergraduate degree in Film Studies. 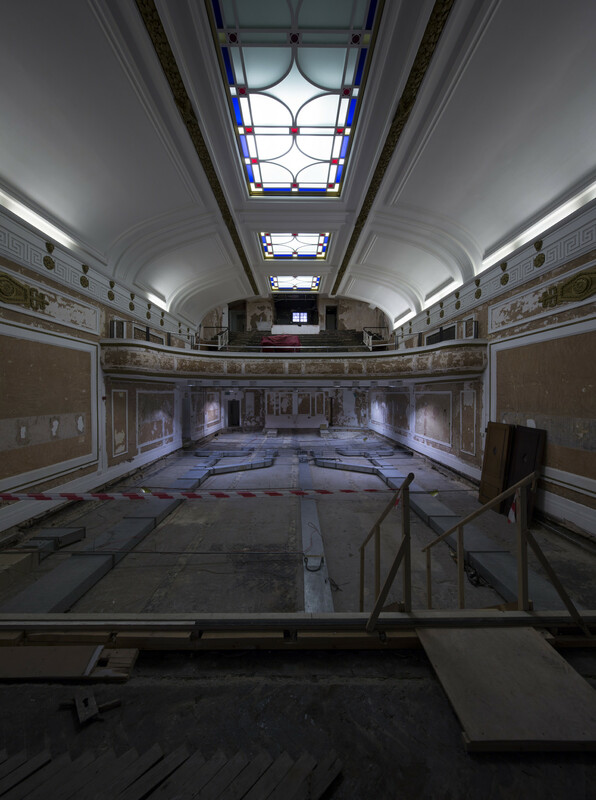 Now, the University of Westminster is restoring the theatre to some of its former glories: reinstating and repairing the 1926 art deco cinema fittings, and the organ, which was a later addition. There will also be a cafe-bar in the foyer, the capacity to project DCPs as well as film (should that be the other way around?) and all manner of schools programmes and tie-ins with neighbouring bodies.